These are some commonly asked questions. A replacement window replaces your builder grade window. Builder windows have nailing fins and are attached to the framing of the home before the walls are finished out. They are usually made with the lowest cost materials so the builder can make the biggest profit. If you replace your windows and you don’t want to tear off parts of your wall, you would use a replacement window that is called an insert window. 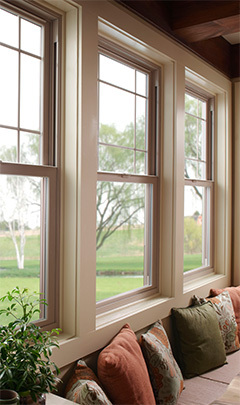 Replacement windows are designed to solve many of the problems of builder windows. They are built with longer lasting materials and use technology such as gas inside the glass and Low-E to keep the heat and cold at bay. They also protect you from unwanted UV light which can damage your home. Why would I want to replace my builder grade windows and doors? You may not want to replace your windows and doors, especially once you see what most companies charge for what they consider to be a good product. However, there is a long list of problems that occur with builder grade windows and doors, and often the long term cost of keeping poor quality products can outweigh the cost of replacing them. Aside from that, a good replacement window and door will bring you added security, energy savings, comfort, peace of mind, a quieter home, and will even keep your furniture, artwork, and floors from fading. If I am going to replace my windows and doors, how do I know what product or company to use? This is the toughest question to answer. If you do enough research online you will end up completely confused. There are plenty of organizations out there that will rank and rate companies, but rarely compare these companies to their competitors so you can really know what you’re getting They may not tell you that many of these companies are using the same products sold under a different name. Even the ones that claim to manufacture their own product don’t make most of the parts on their product. Many companies offer a lifetime warranty, but is it really lifetime? Also, there are some things you may want to ask about the installation as well, because most companies claim to do the work themselves. Most people are asking the wrong questions, and if a company does not have much integrity, they may not help you to get the answers you really need. How important is the installation? Without a good installation, the best window and door in the world will do you very little good. I can’t stress this enough, the installation is very important. Also, it is very rare that a company will use actual employees to do the installation, although many will tell you that they do. Here is a shocker, they don’t have to be employees of the company to do a good job, but they do have to do a good job. Here are some things you can ask for added peace of mind? Are they experts in this one thing, or do they do other home improvements besides windows and doors? Are they licensed, bonded, and insured? How long have they been installing? Is the installation covered under the warranty? Are they clean and polite? Have they been background tested? Are they certified? How do I know if the warranty is good? First of all you don’t need a good warranty, what you need is, a good product and a good installation! If the product and the installation are superior, chances are, you will never even need to use your warranty. I have noticed in the industry, the cheaper the product, the better the warranty has to claim to be in order to sell it. I am sorry to say it, but it seems to be true, you get what you pay for. Also, please read your warranty. Most people don’t, and some of the “lifetime warranties” are completely bogus once you read the fine print. If the warranty says it is for a lifetime, and it promises to cover everything that could possibly happen………..you might want to read it carefully. Do I need a name brand product? You don’t need a name brand product, you only need what a name brand product will bring you. In other words, you need a good quality product, a good installation, a good warranty, and good customer service. I understand that most people feel comfortable using a company that they have heard of or that has been around for a long time. Unfortunately, most of these companies know this, and they use it to charge a premium price for an otherwise not so premium product. There are many companies out there that make superior quality products, but they don’t have the billions to spend on advertising like the big players in the game do because they have not grown to that point yet. I have seen people make the mistake of paying too much for a lower quality product just because of the name brand awareness. Once you understand the industry, it is easy to pick a winner. Will I get my money back when I sell my home? Short answer is, most likely no, not all of it anyway. The most reliable studies out there show a 70%-75% return on investments. I have heard of people claiming 90%, and I am sure there may be some people out there who did receive that return on their investment or better, but for the masses, it is not as simple as that to predict. It all depends on your individual home, the neighborhood, the buyer, and the current real estate market. So, if you are planning to spend $15,000 on windows, and the only reason is, so that one day you can get $10,000 back when you sell your home, it may be smarter to just leave your money in a savings account getting 0% interest. People usually buy windows because they want or need windows, not as an investment vehicle. The good news is, if you do replace your windows and doors, you will get to enjoy all the benefits of the replacement, and when it comes time to sell you will have an easier time finding a buyer than if you had not replaced them. Will I get my money back through energy savings? A new window and door project should save you a healthy portion of your utility bill, and that is not just me talking. There are plenty of independent studies, and government studies that say so. 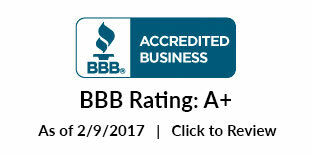 That is also why Energy Star Partners was created. However, unless your energy bill is high, and unless you plan on being in the home 10 or more years, I would not count on getting that money back through your energy savings in the short term. Windows and doors are part of your house, and homes for the most part are financed under 15 year and 30 year mortgages. It would be more realistic to think about the long term savings. Is replacing my windows and doors a smart move? In my humble opinion, replacing your windows and doors is one of the best investments you can make in your home. After all, it is your first line of defense from the weather. It is your first line of defense for a break-in. It is the only home improvement visible from both the inside and outside of your home. And it is one of the best things you can do for reducing your energy bill and making your home quieter and more comfortable. So, as long as it is in the budget, and you get the right window and door for your wants and needs, I think it is an amazing investment.